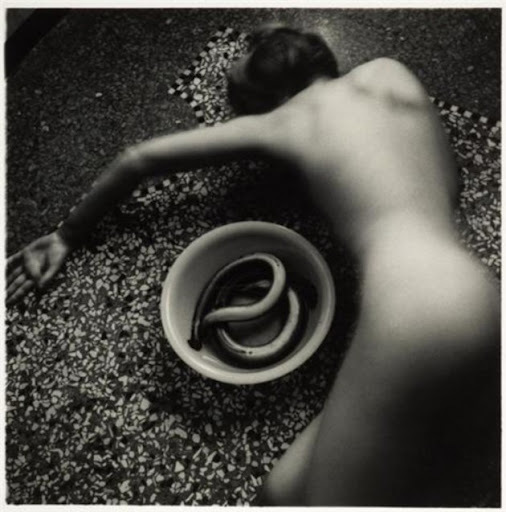 I saw an incredible show focused on feminist artists at PS 1 in 2009 and one of my great discoveries was photographer Francesca Woodman. Her intimate, black and white photos merge stark and oftentimes difficult images with the mystical softness found in vintage photography. Francesca was the daughter of two artists and after much success at RISD and abroad in Italy, she expected to find the world, and NYC in particular, her oyster. After failed attempts at getting photography gigs and her work shown, in general, Francesca committed suicide at the age of 22. The fact that she left behind such a prolific and haunting legacy demonstrates her great talent and a great tragedy. A solo show featuring her works can be seen at the Guggenheim (NYC) through June 13th.